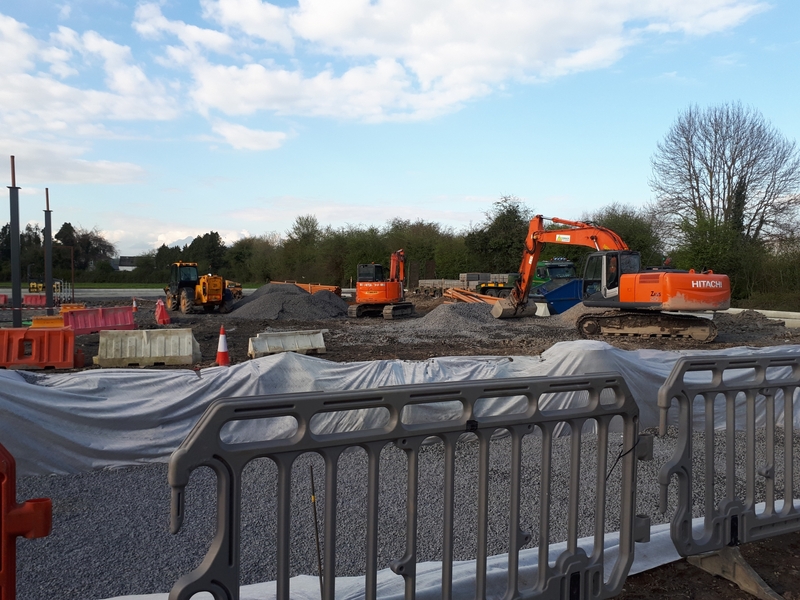 Construction work has started on a new service station on the M7 Dublin Cork Limerick motorway junction at Midway in Portlaoise. The new filling station will include a retail unit across from the food court including a new glazed lobby. The building will have four pump islands with a canopy, new entrance, car parking, cycle stands and refuelling point. The plan does not include parking or fuel facilities for heavy goods vehicles. Plans for this petrol station were given the go-ahead by An Bord Pleanala despite appeals lodged by both Atlantic Enterprises, owned by Supermacs supremo Pat McDonagh, and Paul Dunne, of Dunnes Services Station, Abbeyleix Road, Portlaoise. An Bord Pleanala ruled that the proposed development by Applegreen would not seriously injure the visual amenities of the area or have an adverse impact on the traffic safety of the area. It would, therefore, be in accordance with the proper planning and sustainable development of the area. Meanwhile, Mr McDonagh has himself made a planning application to build at the Midway, having applied for permission to build a two-storey building with a retail unit, a food court and drive-thru and other facilities adjacent to Junction 17 of the M7 at Togher, Portlaoise. This permission for the Applegreen station comes some ten years since the board refused permission to another company, Corrigeen Construction Co. Ltd, to build a motorway services building, petrol filling station, associated car, coach and heavy goods vehicle parking areas and associated roads and infrastructure. Corrigeen was granted permission by the council for these plans, but this was appealed by a number of residents and rejected by An Bord Pleanala. Conditions of the planning permission for Petrogas are that the development is to be carried out in accordance with the plans lodged and the floor area for the off-licence is to be reduced so as not to exceed 10% of the floor area of the retail shop.